On Sale Now! 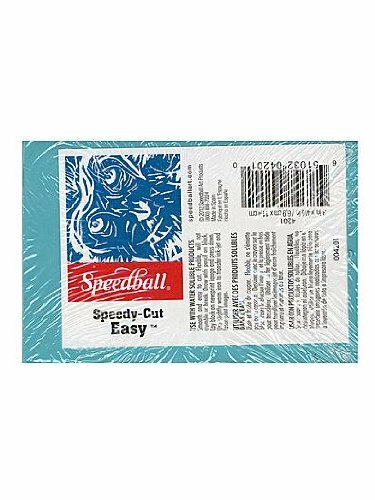 Save 4% on the Speedball Speedy-Cut Easy Blocks 3 in. x 4 1/2 in. [PACK OF 6 ] by Speedball at Vains Faktory. MPN: 4-6. Hurry! Limited time offer. Offer valid only while supplies last. Great for students. A special eraser-like material makes these soft-cut blocks faster, safer and easier to carve than traditional linoleum blocks. Great for students. A special eraser-like material makes these soft-cut blocks faster, safer and easier to carve than traditional linoleum blocks. Speedy-Cut Blocks are 3/8 in. thick and can be used for printmaking and stamp making. Sold as PACK OF 12. Ridgeyard 350W Coffee Cup Mug Heat Transfer Press Sublimation Printing Machine Coffee Mug 3"x8"